Have you heard? Millennials are seeking BOTOX® and dermal fillers at an unprecedented rate to keep lines and other signs of aging at bay! Instead of waiting for wrinkles to form, these savvy 20- and 30-somethings are taking charge of their appearance. We think this is great because injectables are a proactive choice for every age. At Skin Care Institute, we proudly offer an array of injectables for not only staving off the signs of aging, but also diminishing the lines and wrinkles that already exist for a thoroughly rejuvenated, refreshed appearance. Skin Care Institute was recently recognized as one of the top 200 providers in the nation for injectable treatments, which means we have the experience and skill to provide safe and effective injectable treatments. Our impressive range of injectables can meet every type of skin concern, from fine lines and wrinkles around the mouth to deep forehead wrinkles and crow’s feet. Our selection includes Botox, Radiesse®, Restylane®, Juvéderm®, Voluma®, Belotero Balance® and Volbella®. 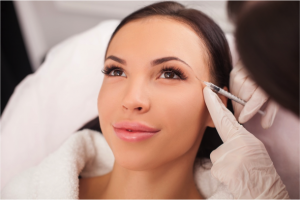 Because no two injectables are alike, we offer consultations to determine the treatments that best suit your needs. Getting started is a cinch! Call us today at 918.948.9639 to schedule your consultation.